Metal roofing is a high quality offering. Many customers prefer the look and strength of metal, especially in high profile areas such as storefronts and other visually appealing areas. Metal roof systems can be the perfect choice for your next industrial or commercial project. 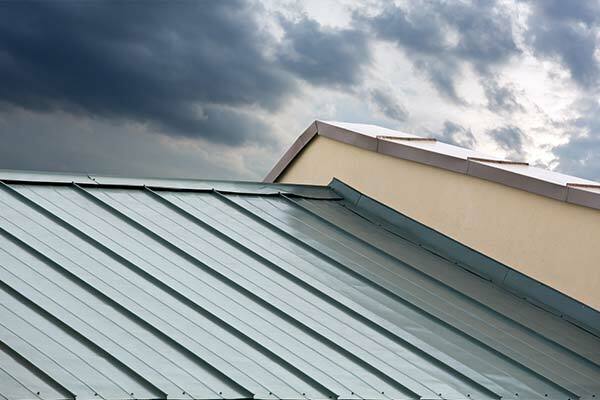 Metal roofing contractors handle every aspect of installation, repair, maintenance, and replacement. K1 Roofing’s custom metal manufacturing is an integral part of any metal roof construction. Starting at the outer edge, our fabricated metal roof accessories and details not only look good, but are engineered and custom fabricated to meet the specific condition of the building. This provides superior attachment, a clear advantage over many of our competitors. Learn more about our Custom Metal Roofing Installation. The demand for reflective roof coatings is surging, and K1 Roofing is a leader in cool roof technology. We work with all the top roof-coating manufacturers, and we’re committed to helping our customers get the best roof protection possible for their investment dollar. Having an issue with your metal roof? Let K1 Roofing provide the repair and care you need to make your roof last well into the future. We fabricate a full line of coping, gutters, details, trim and full sheet panels in all gauges, colors, finishes and metal type choices for new installations and repair projects. In order to keep our clients’ metal roofs in excellent condition we maintain superior grade metal roofs for any commercial or industrial application. We also offer complete metal coating systems as a cost-effective solution. Metal flat roof replacement is also one of our specialties. From large commercial projects to smaller scale jobs, we have the experience & expertise perform the work right!